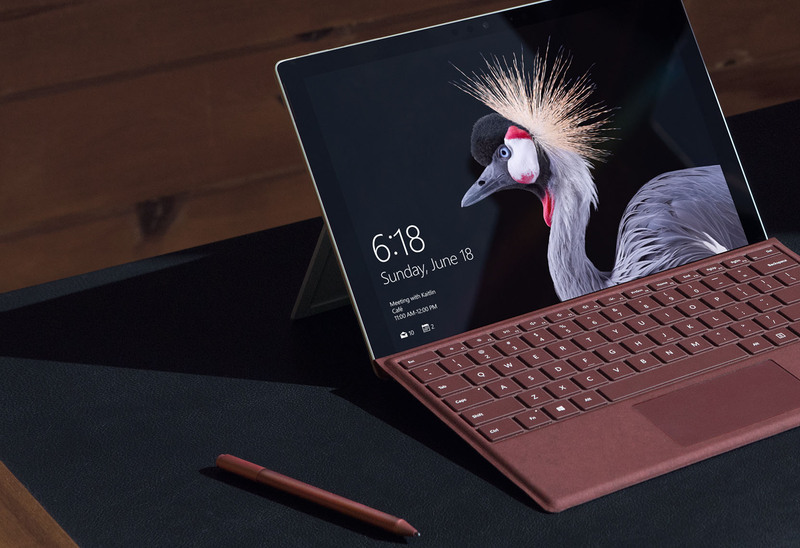 Add a touch of luxury to everyday tasks with the redesigned Surface Pro Signature Type Cover in next-generation Alcantara® material - a perfect blend of sophisticated style, comfort, and technology. Our Signature Type Cover goes beyond traditional keyboards to add a touch of warmth and elegance to everyday tasks. Constructed with Alcantara®, a luxury material sourced from Italy, it features a soft, velvety feel. Surface Pro Signature Type Cover adjusts to virtually any angle. Use in combination with the Surface Pro* Kickstand as a laptop. Fold back like a magazine for a take-anywhere tablet. Close to shield your display from damage and conserve battery life. The redesigned Surface Pro Signature Type Cover is a beautiful addition to your Surface Pro device* that incorporates the best of Microsoft technology, including LED backlighting, optimum key spacing, and a large glass trackpad. Choose the color that best expresses your style. Surface Pro Signature Type Cover comes in three rich colors1 – Platinum, Burgundy, and Cobalt Blue. 1 Available colors may vary in some markets.